O. tenera was first described from Albacete, Spain in 1977 and its name refers to its spindly appearance. 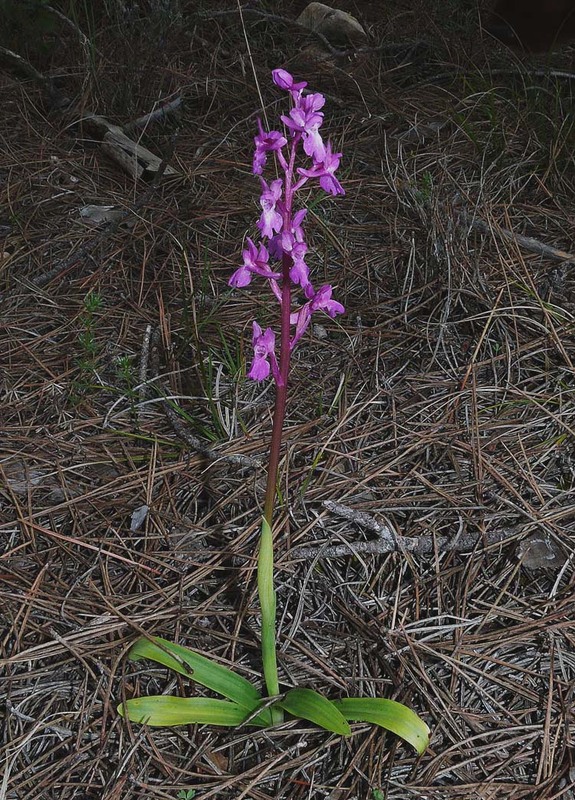 It is a member of the O. mascula group of Orchis and its flowers strongly resemble that species in both form and colouration. 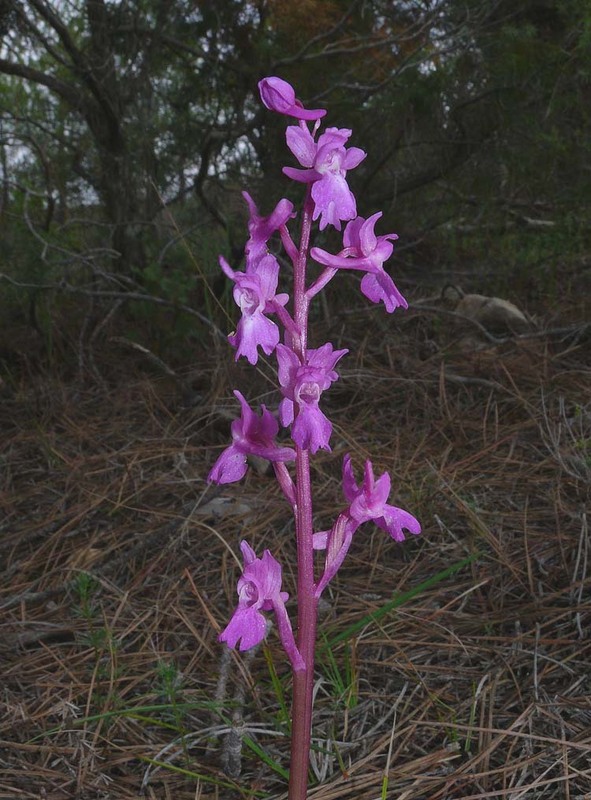 Some authorities prefer to regard this plant as O. mascula ssp tenera. unspotted whereas O. mascula is more commonly blotched with dark markings, albeit only lightly in some cases. O. tenera is a late flowerer and endemic to Spain, though its true range is not fully understood due to confusion with other similar species. It is best known from central Spain but many believe it to be more widespread than this and there are several records from Alicante Province in the south. The pictures come from Cuenca, Spain and date from the beginning of May.